Sister Cities embarked on its first annual “Sing for Peace Tour” in honor of Martin Luther King, Jr. on Monday, January 20th. 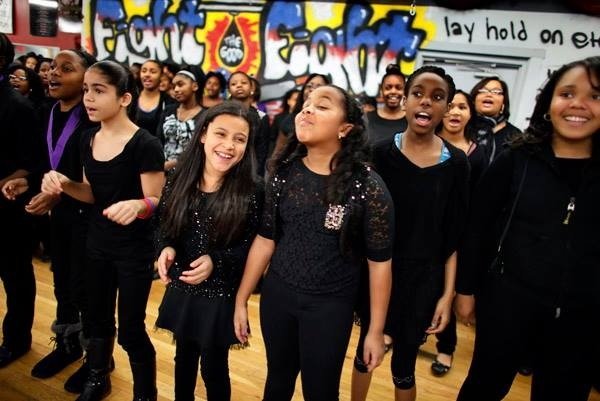 This all-day event united girls from Camden and Philadelphia to use their voices to spread Dr. King’s message of non-violence, service and advocacy. 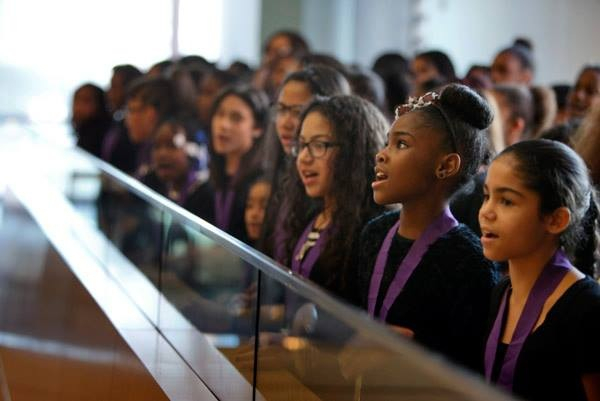 The tour, which included four stops, began at the Loews Hotel in Philadelphia, where the girls were the featured performer for the Barrister’s Annual MLK Breakfast. Next, it was off to the Kensington Community Development Corporation and a performance for a small but dedicated cohort of volunteers. 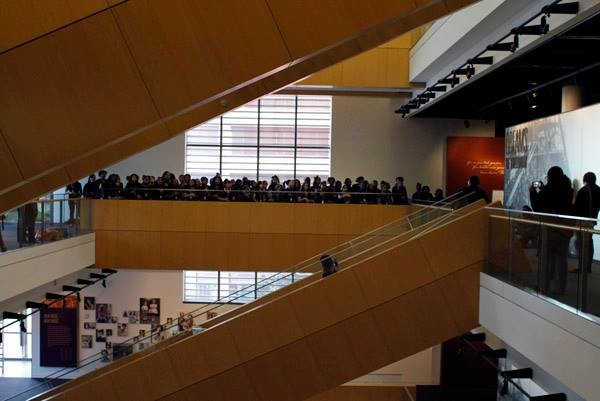 Our third stop brought us to the National Museum of American Jewish History, where the girls performed at the top of the beautiful four-story atrium. We hope to return to the museum for a visit to its galleries soon! The buses took the choir and volunteers across the Ben Franklin Bridge and into Camden for a performance at Rutgers-Camden University as part of their MLK Day of Service Closing Ceremony. 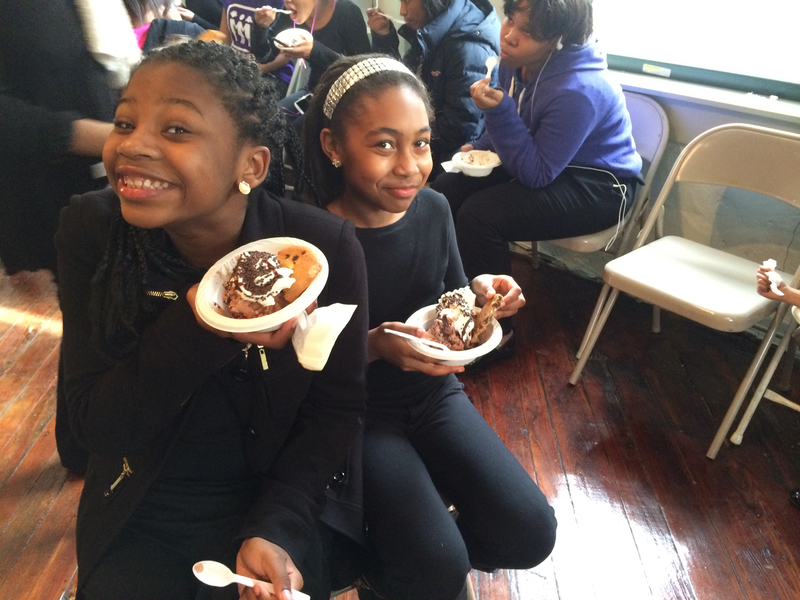 SCG Artistic Director Alysia Lee had the audience on their feet and singing along!Before heading home, the girls enjoyed a much-deserved ice cream party at the YELL Gallery in Northern Liberties. Special thanks to our Teaching Artists, volunteers and community collaborators for making this day a huge success!More pictures from our Tumblr!